The Loose Women star said her husband Lincoln Townley is her “greatest supporter”. 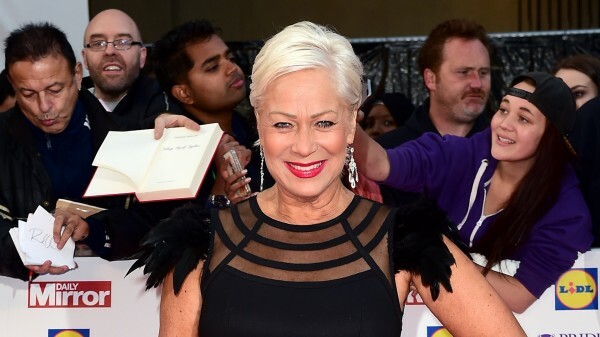 Denise Welch has said she worried about how her new husband would deal with her sometimes “frightening” episodes of depression, which she has suffered from for more than 20 years. The Loose Women star spoke out in a film for Heads Together, a campaign which unites the Duke and Duchess of Cambridge and Prince Harry, along with Mind and other mental health charities, to change the way society talks about psychological issues. Denise, 58, said she was concerned about how her partner Lincoln Townley – who she married in 2013 after a 24-year marriage to actor Tim Healy – would react to her illness, but that he soon allayed her fears. She said to artist Lincoln in the film: “When I met you, I’d been living with clinical depression for 21 years. “As I was falling for you, I wondered how you would deal with my episodes of depression, which can sometimes be quite frightening. “I remember looking into your eyes when I was poorly, and seeing empathy and understanding. “Even in the midst of how I felt, I knew that you were going to be there for me, and that had been something I had been worrying about. Denise called Lincoln her “greatest supporter”. “My depression can rob me of my communication, but I know that I can always talk to you,” she said. The film is part of a series called #oktosay, which features people talking about the conversations that helped them cope with their mental health problems. Other films include Denise’s fellow Mind ambassadors Stephen Fry, Ruby Wax and Alastair Campbell, as well as Stephen Manderson (Professor Green) and cricketer Freddie Flintoff. More films will be released in the run-up to the 2017 Virgin Money London Marathon, for which Heads Together is the official charity of the year. Mind chief executive Paul Farmer CBE said: “We’re tremendously grateful to Denise for lending her support to the Heads Together campaign by opening up about her own experiences and for everything she does for Mind as an ambassador. We know the real damage that silence and stigma around mental health problems is doing. We simply have to stop shying away from talking about it. Prince Harry has received plaudits for disclosing he sought counselling to come to terms with his mother Princess Diana’s death.